While it can be a long and slow process, it is very possible to remove mercury from your body. If you suspect that you’ve been poisoned by mercury, there are two routes you can take. The first is to see a specialist, who will test you for mercury levels and then put you on chelation therapy if you need it. This will involve the use of chelation agents such as DMSA in a medical facility. The second option is to try to slowly remove the mercury in your body yourself with natural ingredients. Keep in mind that mercury removal can be strenuous on the body as mercury will be released from your tissues and into your bloodstream before it can be carried out. Because of this “re-introduction of mercury” during the chelating process, it is much safer and better to do this slowly. You can also add the leaves to some hot water or hot tea to steep and infuse. Enjoy them in cooked dishes. For example, many Asian (especially Vietnamese) dishes like pho bo contain fresh cilantro. Look for your favorite recipes or dishes. If dining out, ask if the cook can add more cilantro. Unlike other herbs, cilantro is very effective in chelating mercury from the brain and central nervous system. This is especially helpful if you feel you have symptoms from mercury poisoning such as a lack of coordination, excessive anxiety, nervousness and memory loss (mental fogginess/forgetfulness). 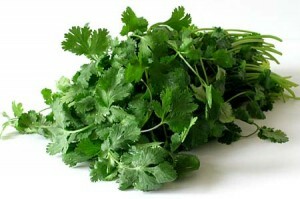 Cilantro not only removes mercury, but other toxic heavy metals such as lead as well. Note: Unfortunately, a small number of people find the taste of cilantro intolerable. For example, they may complain that cilantro tastes “soapy”. If you’re one of them, know that this might be inherited (genetic) so it’s best to try other methods to chelate mercury instead of forcing yourself to have cilantro. Garlic is an amazing and powerful herb. It is able to bind to mercury and remove it from the soft tissues as it contains many sulphur components which oxidize mercury, making it water-soluble and easy for the body to remove. Garlic also contains selenium, which is an important mineral that protects us from mercury toxicity by binding with mercury. The selenium from garlic binds itself to mercury, making it difficult for the mercury to be absorbed by our tissues. You can see why garlic is especially valuable if you think you’ve been poisoned. Take garlic raw or lightly cooked for the maximum effect. Garlic pills do very little, despite marketing claims otherwise. Similarly, it’s also much less effective to take selenium pills. This is because selenium needs to be bio-available to make a difference, and few selenium supplements are. One clove of garlic a day will help. If you have trouble eating garlic raw, cut it into small pieces so that they can be swallowed with some water. 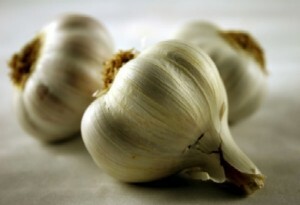 Taking garlic this way minimizes the taste, which can be powerful. You can also take garlic in a “tea”. Chop up a few cloves and add them to a cup of hot water to steep. Drink the water as it cools. Do not take when your stomach is empty. Like garlic, ginger is a potent remover of heavy metals like mercury. Ginger is a known anti-toxic agent and has the ability to scavenge for free radicals, making it very useful for getting rid of heavy metals like mercury. Studies have also shown that it protects the liver from heavy metal build-up. Here’s another study (download pdf) that demonstrates just how effective ginger is at removing mercury. Ginger is so versatile that there are countless ways to include it in our food and drinks. 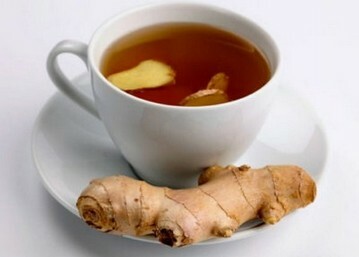 Add fresh ginger slices to hot water and some sugar for a cup of ginger tea. Include ginger when making soups or broths. It’s especially good with seafood- or fish-based soups. Ginger can be added to stir-fries, baked fish, fried rice, fried noodles, baked chicken, chicken rice etc etc. Include ginger in fresh juices for an extra spicy kick. If you have a sweet tooth, ginger can easily be made into candied ginger. All that’s needed is sugar, water and ginger. This one may be the most difficult to do. However, if you can achieve a more raw food diet, fresh fruits and vegetables are effective in removing mercury and other toxic heavy metals from our bodies over time. While you can also take these individually in supplement/pill form, eating high-quality, natural whole foods will ensure that these minerals are able to work together synergistically. While synthetic vitamins have their uses, the gold standard in nutrients is always found in their natural forms. If you find it difficult to adopt a raw food diet (which is understandable), instead try to have at least one raw fruit or vegetable each day and go from there. Adopting a more raw food diet is a gradual process and should not be forced. Do what is easy and enjoyable first. Eat your favorite fruits and salads. Have delicious fresh fruit juices instead. Some vegetables are easier to take in their juice form, such as carrots and kale. 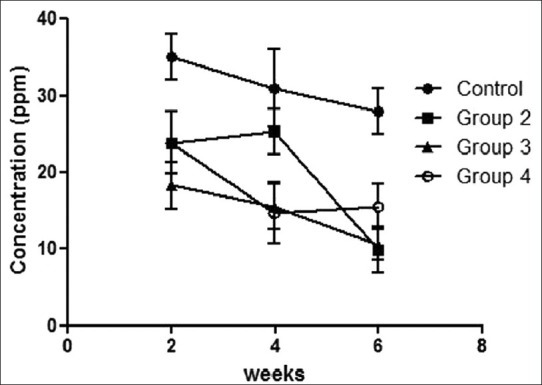 How light can taking extra vitamin c and other supplements to raise glutathione levels within, can get someone? Thanks. Hi Latoya, in theory, you can get as light as you were as a baby. This could take some time as your cells detox and renew. At the same time, you would also have to be careful not to expose yourself to excessive toxins and harmful chemicals (difficult to do but possible), otherwise you would be taking “one step forward, and two steps back”, in a manner of speaking. In my opinion, the best thing to do is to combine helpful supplements like Vitamin C with a change in diet and lifestyle. It might seem like common sense but most people don’t realize how powerful a change in diet to more fruits and veggies can have on your body and appearance. For the past several months I’ve been taking raw juices (fruits and vegetables) for 1 meal every day. I also do my best to choose food that is healthy for me and avoid chemicals/pollutants. The results have been nothing short of a miracle. One last thing – you’ll also have to account for sun exposure and avoid excessive sunlight. Try to reach for a balance though… as some sunlight is healthy and needed by the body. The best sunlight (and one that won’t cause skin darkening) is found in the early morning hours when the sun has just risen. Sorry for this long answer to your short question, but I really hope it helps others as well! Hi! I started using the face cream with mercury about the 3rd week in December 2015 and stopped February 11, 2016 (approx. 2mos) after finding out it had contained mercury in it. My face is overly sensitive so during usage I did notice the sore skin and some darken skin areas but did not think much of it. Now that I have stopped using it, I do have some skin areas that have darken. Will changing my diet as stated in this article help the skin to change back to normal color? Please advise. hi, im so desperate to remove my stuborn pigmentation . I have used and spent thousands of dollars on different creams, lasers, but doesn’t seem to work. i have also used up creams like amira-c and found out it has mercury , cream with hydroquione. I stopped all this when i found out its bad for your health. Now my qusetion is ; Is GLUTATIONE SAFE? Right now I start using MELADERM and i dont see any improvement, its three wks now. Please try Glomela cream from pharmacies in India. You can order online. Have to use it continuously. It will peel and lighten . hi, im so desperate to remove my stuborn pigmentation . I have used and spent thousands of dollars on different creams,but doesn’t seem to work. i have also used up creams like fasco and found out it has mercury , cream with hydroquione. I stopped all this when i found out its bad for your health. Now my qusetion is ;is yoko acne melasma cream safe. how will i know or what are the signs that i have been poisoned by mercury.. is it possible that i have been poisoned already after using it last night and i used the day cream just this morning but after reading this thread i immediately washed my face and used castor oil instead… pls. help i am so afraid right now.. Skin contact with mercury compounds can lead to irritation, including patches of inflammation and the appearance of tiny bumps close together. These bumps may burst and discharge matter, which later crusts over leading to soreness and discomfort. But since you’ve only used it for a day, don’t worry too much. The real danger usually comes from continued usage, so you should be relatively safe. If you’re really worried, you could take extra cilantro or garlic in your food for a week or two to help chelate any mercury. Our bodies are very resilient and intelligent, and with the right support, it will know what to do to heal itself. Hi I have been using mecurial products for almost a year now.. and I want to stop because I don’t feel good about it. I used to be dark but I got fairer after using the product with mercury. But I am now fearing the dangers of using mercury. How do I go about stopping without having severe reaction from stopping these products? Hi siti, you can try detoxing using the suggestions on this page. If you can slowly eliminate mercury from your system, a severe skin reaction might be avoided/lessened. If you do get a severe skin reaction, I’d recommend staying away from chemicals and using deep, healing nautural oils on your skin instead (e.g. EVCO, EVOO, cold-pressed castor oil, shea butter, etc). Hi there! 🙂 Thank you for the reply. So should I stop completely and my skin might go cold turkey with skin reactions but let time for it to heal or should I slowly cut down on the usage of the mercurial products? Hi siti, I don’t know. But if you use it on more than one place on your body, you could try completely ceasing usage of the cream in one spot and then see what happens. If there’s no bad reaction, you’ll feel more confident about stopping its use everywhere. Hii, I’m a Srilankan. I’m using Paimei whitening cream for 1 and 1/2 months. I’m afraid of affecting by mercury. Please help me. Hi Anu, please read Questions about the safety of specific creams in the comments section. Hi I’m Anu , Please answer me. I’m worried too much. Hi gladys, yes Erna is in the list of products that contain mercury. tanx…… miss Hessa for answer my question. mam hessa, i stop using a erna whitening cream but the problem I out my pimples and black my face what i do to my face get back a smooth.thank you maam. Hi gladys, like I told another commenter here, you can try deep healing oils like castor oil or coconut oil. With time and patience, natural oils can heal even very deep skin damage like burns. Good luck! maam hessa, me i ask you where i found a castor oil because i try to look the rose pharmacy but they do not sell. thank you? I buy mine from iherb.com (there’s a discount code at the top-right of this page). hey..I have been using creams containing mercury for some time and it worked really well on my skin..now when I have come to know the dangers of mercury ,I want to leave the creams but I am afraid my skin colour will go back to dark (I am dark by birth) please Tell me some way to maintain my fair colour evem after leaving these creams.. I used chin chan su that hasn’t detail the ingridients.Im using it 2 weeks ago and Im worried if I get poisoned by a mercury because my big toe was aching and Im thinking because of gout and if u have gout u have problems in your kidney.pls.helo me Im begining to panic. Blessed day to you!….Hi..I’ve used Royal whitening cream for past 5 years and stopped using it after the news of High Mercury level recently. I have pigmentation problem and planning to use Atomy facial products. Please advice accordingly.